Tis Hazari JJA Admit Card Available Now: Delhi District Court, The Tis Hazari Court released the notification for 288 Vacancies in the month of November 2017. 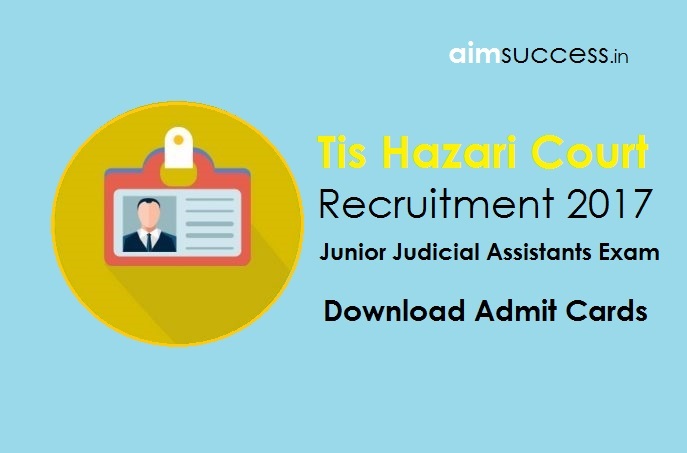 According to the official website of the Tis Hazari Courts, the Call Letter Download for the recruitment for the post of Junior Judicial Assistants available now. How to Download Tis Hazari Court Admit Card? Search for District Court Delhi JJA Hall Tickets notification. And click on it. A new page will be opened on this tab. This page will help for downloading of Delhi District Court Call Letters. Enter registration number and password (DOB) for sign in to get Tis Hazari Court Admit Card. Then you will get your Tis Hazari Court Call Letter 2018. Download the Admit Cards: 3rd February 2018. Written Test Dates: 10th and 11th February 2018.